Hey, GoProers! No matter you're an entry-level videographer or an old hand at action camera shooting, you must be familiar with FOV, full academic name the field of view. 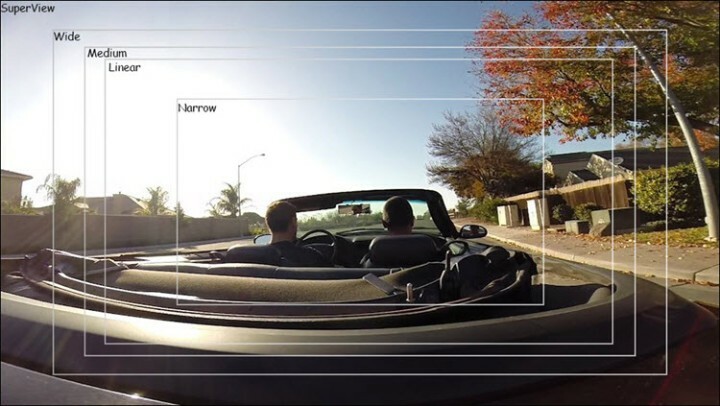 As one of the crucial settings on the small GoPro box, FOV selection determines whether the final picture or video clip is in fisheye (wide angle) or flat visual effect, and how much scenes would be taken into the picture horizontally or vertically. So what is FOV exactly? Is there any restriction on FOV usage? If so, when FOV is available to choose on GoPro? What's the best FOV setting for different filming scenarios? Let's just make all those stuff clear in this post. Part 3: Video Photo FOVs for GoPro Hero6/5 Black etc. 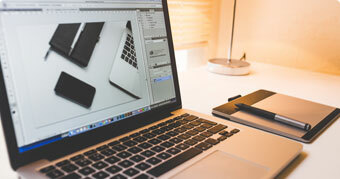 FOV, abbreviations of the field of view (or vision), literally means the open observable area a person can see through eyes or via other devices. 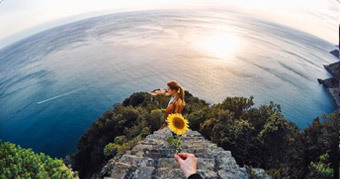 In GoPro photography, FOV surely refers to the range of visible world through GoPro lens at a certain spatial location, which will be recorded once you tap the shutter. It's easy to find out FOV option on your GoPro model under the Resolution and FPS menu. And newer cameras like Hero 4, 5, 6 and 7 models allow you to do smarter FOV settings by simply double tapping on the LCD screen. Regardless of GoPro models, there are five GoPro FOV options in total, two of which are born with fisheye effect while three others are not. Let's take a detailed look at them one by one. 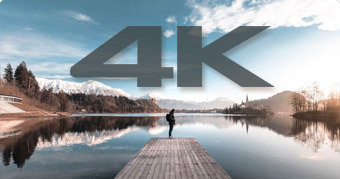 SuperView captures the largest amount of scenes ever, outputting stunning and nature fisheye visual effect by stretching vertical 4:3 content into full-screen 16:9 automatically. As the "world's most immersive FOV", it's recommended for a tripod, body-or gear-mounted, and other fixed position shots, especially when the subject is close to the lens. Following Hero 3 Black Edition, the later Hero 4, 5, 6 and 7 models all support shooting certain video at SuperView field of view. Wide FOV is a basic and also the default view option for all Hero cams, which was named as Ultra Wide FOV on early GoPros. It's the second largest field of view with a fisheye look around the edge after SuperView. Similar to SuperView, Wide also works great on POV (point of view), selfie and action shots. As the name shows, it's a mid-range FOV which puts more focus on the center of the shot. No fisheye here but zooming in effect on the center of the shot. It's often used for scenery shooting. Another mid-range FOV with fisheye distortion effect around Wide FOV mode taken away. It's a new FOV you can only find on Hero 5 or later, and good for filming aerial footage with a drone or other shot in traditional perspective. Being the smallest field of view, Narrow is usually used for recording content at a distance. Like Medium FOV, it also zooms in on the center of the shot. Although there're five GoPro FOV options, not all cameras provide them all. Even when any FOV is adopted by the cam, it may be still mode-limited, only available for some resolutions or frame rates. So many new users will encounter "errors" like "No Linear mode available on GoPro HeroX", "HeroX Superview Setting gone" etc. 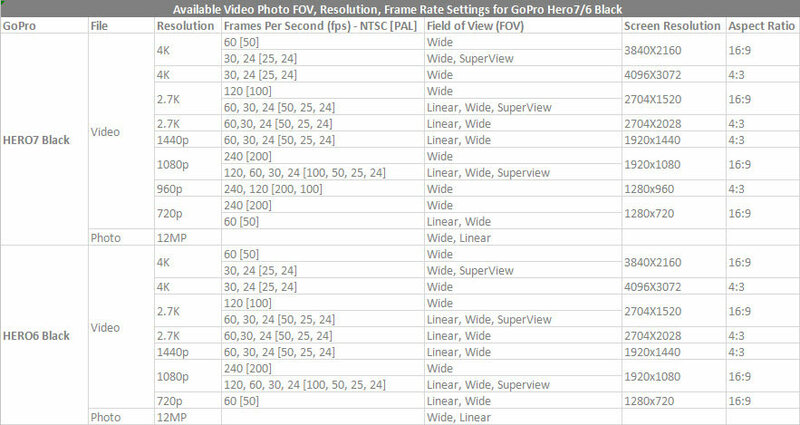 Let's check video photo FOV options from Hero 3 to 7 and best GoPro FOV setting for activities below. 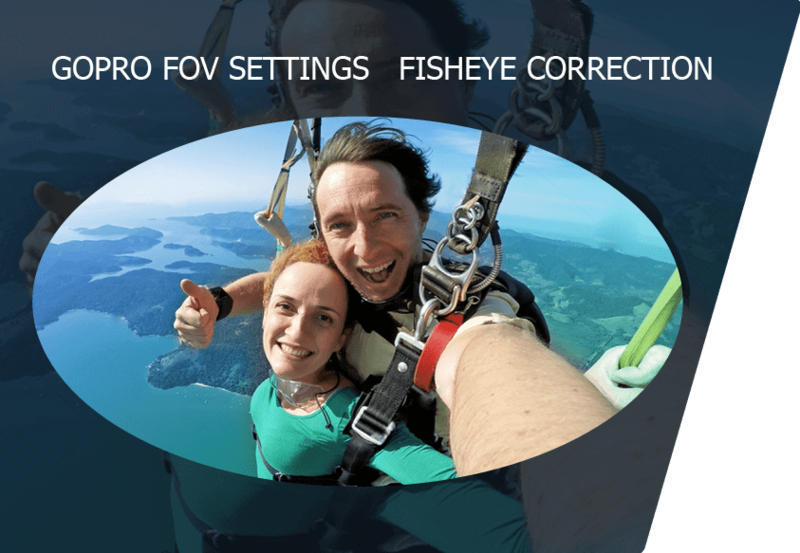 - Smart lens correction feature built in to help correct fisheye lens distortion in clicks. - Reduce the fisheye effect or crop barrel distortion fisheye area out from GoPro videos at will. - Decrease or defish wide-angle effect from GoPro video without compromising quality. - Real-time preview available when adjusting coreection values of related pamameters. Part 3: Video Photo FOVs for GoPro Hero7/6 Black etc. According to the latest press from GoPro, HERO5 Black has sold over 4 million units since its launch in 2016 and becomes the best-selling GoPro ever. Therefore, we here just picked out Hero5 Black, along with another two hot gadget Hero6 Black as example, showing their available FOV settings thoroughly. It is front and center to define a FOV that suit the scene best. Generally, if you are meant to shoot in wider areas in the framing for fish eye looking or easier post production, either SuperView or (Ultra) Wide FOV is OK. If you are doing a distant shot and prefer produce a steady video or have picture zoomed in, Medium and Narrow FOV are far more appropriate. Linear mode is often used in aerial drone or building photography. If possible, try different FOV settings though under various shot environments! You will find your favourite one and become a smart FOV chooser. Of course, in some cases, you have to turn Protune on to enhance quality by adjusting white balance, ISO, color capture, exposure value compensation (EV) and sharpness. Since the sensor size of GoPro Hero facilities may differ from each other, it's possible to capture image with distinct degrees even applying the same FOV setting, ranging from 29.3° to 149.2° at horizontal, vertical, or diagonal degrees. (>>Check the equivalent focal length and FOV degrees of Hero7 Black, Hero6 Black etc.) To meet the demands of those who wanna do completely spherical recording, GoPro released a 360-degree Fusion model in late 2017 to create astonishing VR footage in 5.2K at 30fps.